February 2, 2010—The U.S. Consumer Product Safety Commission and Health Canada, in cooperation with the firm named below, today announced a voluntary recall of the following products. Consumers should stop using recalled products immediately unless otherwise instructed. Importer: Playmates Toys, of Costa Mesa, Calif. Hazard: A cylindrical metal connector on a charm can contain levels of total lead in excess of 300 ppm, which is prohibited under federal law. Charms that have plastic tabs instead of metal rings and cylinders are not included in this recall. 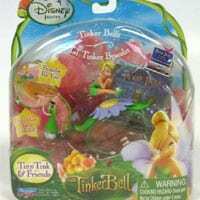 Sold at: Retailers nationwide from November 2008 through November 2009 for between $6 and $8. Remedy: Consumers should immediately take the charm and cord away from children, discard the items, and contact Playmates Toys for a replacement charm accessory. Consumer Contact: For additional information, contact Playmates toys at (888) 810-1133 between 9 a.m. and 5 p.m. PT Monday through Friday or visit the firm’s Web site at www.playmatestoys.com. Note: CPSC was alerted to this hazard by the State Attorney General of California.